When my son (my youngest child) started school in February 2016, it dawned upon me that I was reaching a crossroads. Unless I became more disciplined about quilting as a career, my days of staying at home and playing in my sewing room were numbered. I was approaching the moment where I would have to return to a proper grown up day job if I didn't take quilting more seriously. So I decided to start collecting ideas for a book. Animal Quilts is the result. I took my time and made sure that I loved each and every idea that I put forward. Many designs were created, many were rejected. I made a few key decisions right from the start. I wanted my designs to feature centre stage. Even though it might be impractical for printing purposes, I wanted to create a book of quilts, not a book of quilt blocks with instructions on how to turn these into cute pouches and cushions. I wanted the patterns to be BIG. I didn't want the quilts to consist of multiple repeats of the same block. I have a low attention span for sewing the same block over and over. I don't mind doing it to perfect my design, but once the design is finished I like to move onto the next project. The construction of the blocks was important to me. I spent a lot of time drawing, redrawing, and testing to make sure that everything would sew together as well as possible. I always feel that the better that I design a pattern, the more successfully you guys will be able to sew it. To me, designing paper pieced patterns is not just about drawing a series of lines, it's about drawing a series of lines that are easy to sew. What is the point of designing a stunning pattern if nobody can sew it together properly? I wanted the chance to share paper piecing tips in my book. 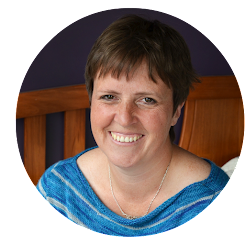 There are many many tricks that I have learnt along the way and although I have shared many of these on my blog, I wanted to be able to share my latest thoughts in one place. I wanted to empower those who are scared of paper piecing. While the patterns in this book are not designed with beginners in mind, I strongly believe that once you master a few basics and discover a style of paper piecing that suits your personality, these patterns can be attempted by anyone. If you're an adventurous beginner, jump in with both feet and give yourself permission to make mistakes. If you are more cautious, start on simpler blocks, master the basics and then move onto the patterns in this book. While I really wanted to create a book of quilts, I wanted to offer people options for what they can do with the patterns. Most patterns in the book come complete with a number of suggestions as to different ways that you can use the pattern. I will admit that it was tough keeping all the designs secret. I tend to be pretty impetuous in what I share on social media so I had to take a deep breathe each time that I felt like sharing and email friends instead. In the very early days, my exact plan for the book changed a few times. Initially it was going to be a book of black and white animals against colourful fractured backgrounds. The Panda and the Polar Bear designs date back to this initial version of the book. I quickly found this concept too limited and boring. I moved on. My next plan was to work with animals from a specific area of the world, but again this was too limiting. Finally I decided to just choose birds and animals that I liked. Some are requests from my children, others are animals that I've been wanting to design for a while. Some were challenging to design, others came together quickly. I guess that you could say that it's a bit of an eclectic mix, but I like it that way! To round off this post, I thought it would be fun to have a giveaway. 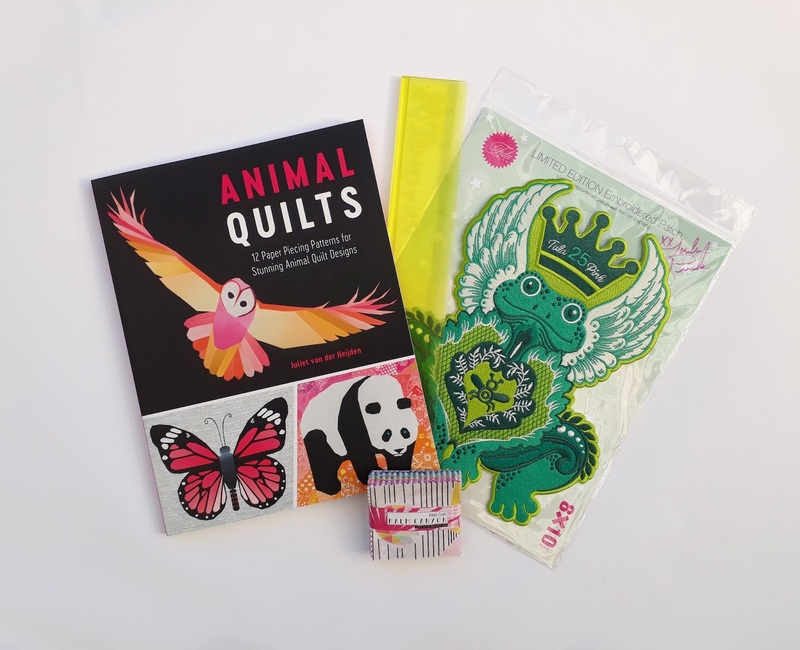 The winner of the giveaway will receive a signed copy of my book, a limited edition Tula Pink Frog Patch, a 12 inch add-a-quarter plus ruler and a mini charm pack of Violet Craft Palm Canyon fabric. There are lots of opportunities to win. You can enter as many times as you wish. After the giveaway closes, I will collate all the names and pick a random winner. I will close entries on 16th November at 10pm New Zealand Time (remember we are ahead of the rest of the world!). 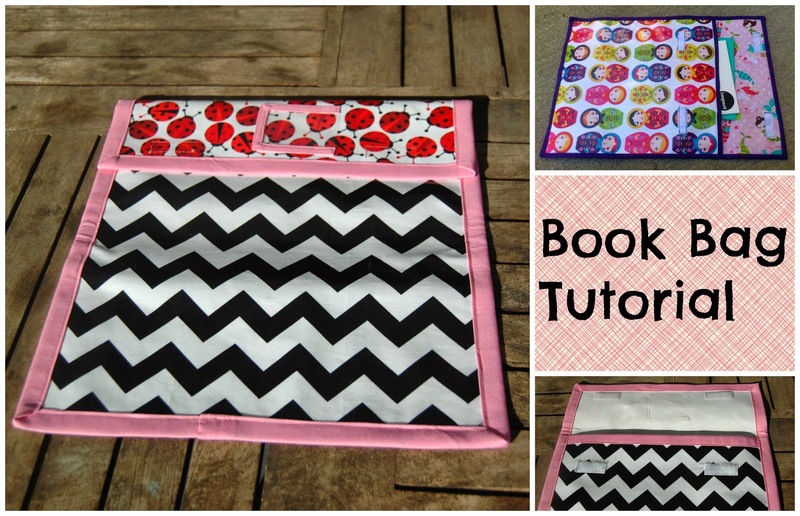 leave a comment on this blog post telling me the first pattern that you want to sew from the book. Follow me on facebook and leave a comment on the giveaway prize post. Share the giveaway post on facebook publicly (I can only award prizes to entries that I can see). I will do everything that I can to contact the winner, but if I have not heard from them within a week, I will draw a new winner. The owl, the owl.. I love the owl. The polar bear for my hubby! Just love the Rhino's the colours are amazing. I want to make the owl from the cover! Of the designs I've seen so far, my first would likely be the owl. But I expect I will make a bunch of these patterns as they look fabulous! Your Panda is my fave! The owl for an owl lover in my family! I really think I would like to start with the butterfly! The owl is my choice! It looks awesome!!!! They all looks so beautiful (and challenging!). My first instinct was to say the owl, but the butterfly is also stunning. Sorry, I can't choose. Panda then Owl also all the rest cause WHY chose? I would love to make the peacock for my mother, she adores them !! Every time I see a new animal from the book, it is my new favorite. However, I think I would start with the owl for my Mom. The peacock. It looked so beautiful. I'd choose one of the bears, or a giraffe if there's one in there. The owl first, my favorite. Thanks for sharing your wonderful book. Although I have no doubt your new book is fullnof awesome patterns I don’t own a copy yet. So I will choose the Panda 🐼 as a first project! Looks like you have a rhino which would be exciting to make. I also love the butterfly. The owl or the butterfly, both are calling my name. The polar bear! Love it! I think my first pattern might have to be the Peacock. He's so very regal. The polar bear, followed by the swan or panda. I have never wanted to sew a swan before but that quilt is amazing. That book looks amazing and is on my Santa wish list. I would definitely do the owl. And I love the horse too. Or the rhinos. So many amazing choices. You rocked it out of the park with this book. Congrats!!!! So hard to decide but I would have to say the owl. He is so amazing in flight! The rhino ! It's so very detailed. Then a bird. I'd love to make the Highland Cow for a bag just like yours! Congratulations, the book looks stunning! I'm very much a beginner paper piecer, but the swan has already caught my eye. Congratulations on your book. I love a number of the animals, so if I had to narrow my choice to one, I'd choose the owl. Congratulations. It is a beautiful book. I love so many of your patterns. They are lovely. But I would probably start with the peacock. The owl or the butterfly! The butterfly for me. Congratulations. That gorgeous butterfly or the peacock, swan....any of them! My young daughter's absolute favourite bird is the barn owl. I so want to make this for he room! Until I get my hands on a book, I will choose the most awesome owl as a first project. Love your quilting and writing style--congratulations on a beautiful book!! It's a toss-up between the peacock and the reflected swan! Since I'm one of those who are "afraid of paper piecing," I would choose the one that looked a bit easier after reading your hints and tips. Oh boy - the peacock or the butterfly would be first I think but it's very tough to choose. I would make that beautiful butterfly right away!!! Love it!!! The panda - I <3 pandas! Ooo... I’m stuck between the rhino and the owl, they’re both beautiful! The only social media that I'm on is Pinterest, but, I love that Rhino quilt on the bed. How cute! The polar bear is my favorite! I have been in awe of your large owl for some time. i am obsessed with butterflies, so i would make the butterfly on the cover and then maybe the owl for a friend who loves owls. I want to make your butterfly in shades of orange so it looks like a Monarch! I love the rhino, yet the swan is just gorgeous, too. All are lovely! The polar bear is my first choice. I've wanted to sew that monarch butterfly since the first time I saw it. So gorgeous! Thank you for the giveaway. I would like to sew the horse first. Is the kingfisher in the book? I really like that one. If not, the rhino cus it's unusual. The book looks great, so I've put it on my wish list. Thanks! I've wanted to make the panda since I first saw it! But all are so lovely. Congratulations! I love them all but I’d like to make the Heilan Coo first! I love the owl. Such an amazing image. Can't wait to give it a try. Ooh, congrats on creating a book! How exciting to see it through to publishing, well done. Your owl is calling me...I love the wingspan and the way it looks like it is flying into the room. The black background is really effective. The owl - it’s amazing just like all your patterns. Can’t wait to get my copy of the book! Love these! I want to make that polar bear! I love the owl. My Mum loved owls. I need to make more! I made your zebra into a wall hanging and it's beautiful!! I am an owl lover so it would have to be that amazing owl. But all your designs look stunning. Oh, the peacock is incredible! As is the owl!!! I think I would have to start with the owl, as they are my favorite, but that butterfly is so awesome. I think I would like to make one of the bears first. They're all such great patterns! I would love to make the owl! I think it is spectacular! That butterfly caught my eye. Can't wait to check out the others. Definitely the butterfly, but the rhino is a close second! I love butterflies, so pretty and the perfect place to start. My second is the flying owl. I have a friend who will love that one. I would make the butterfly first and then the owl or panda. Looks like a great book! wow amazing. Definitrly I make that butterfly first! The butterfly! I adore them all though. Like most others...the butterfly! It is stunning! Oh I would make the butterfly first! They are all so amazing and I want to make them all, but the butterfly will definitely be first! I really like the polar bear (who wouldn't) but I think I'd start with the rhino - probably in purple. What a great giveaway. Thank you! I really like the peacock but I also like the butterfly...it's a toss up. I love that owl. So dramatic. I'm pretty sure I'd start with the horse, in honor of our two miniature horses, funny little rascals. Welcome back! You've been missed! I'm curious, did you decide on a name for your lion? If that's in your book, it'd be the first one I'd make. I'm not sure what animals are included, but if the horse in included, I'd enjoy making that too. I was a veterinary technician for many years, animals are my thing! What a wonderful book. Of the animals I've seen so far, the rhino, the swan and the highland cow are my favorite. I love paper piecing (except tearing the paper off at the end). Good luck with this book and thanks for the opportunity to win a copy. Neat book! The first pattern I would make is the butterfly! The horse, I love it and then the owl, both are stunning and meaningful to me. My other hobby is showjumping horses and the owl is the mascot of my undergraduate college! I would dearly love to sew the butterfly from your new book!!!! It is just gorgeous! I admire your discipline and your designs. Your collection is stunning. But the owl.. for me it would be all about your owl. Definitely the owl. It's amazing! I think I'd try the panda first. Congratulations on the book release, and thanks for giveaway. Love all of the patterns I've seen, but think I'd go with the owl or butterfly first! Oh, what fun! Great designs on all the animals I see, & I would make the rhino first! I have been looking for a horse pattern for so long, thank you! The owl or the butterfly! So pretty! Wow, the designs you've featured in this post are all wonderful. But I would start with the polar bear first, and make it for my daughter. She loves them. I'd make the owl first. I'd like to make them all! Oh, the peacock is so lovely - might start there! Thanks for the fun giveaway. Your patterns are amazing. I would love to make the owl. 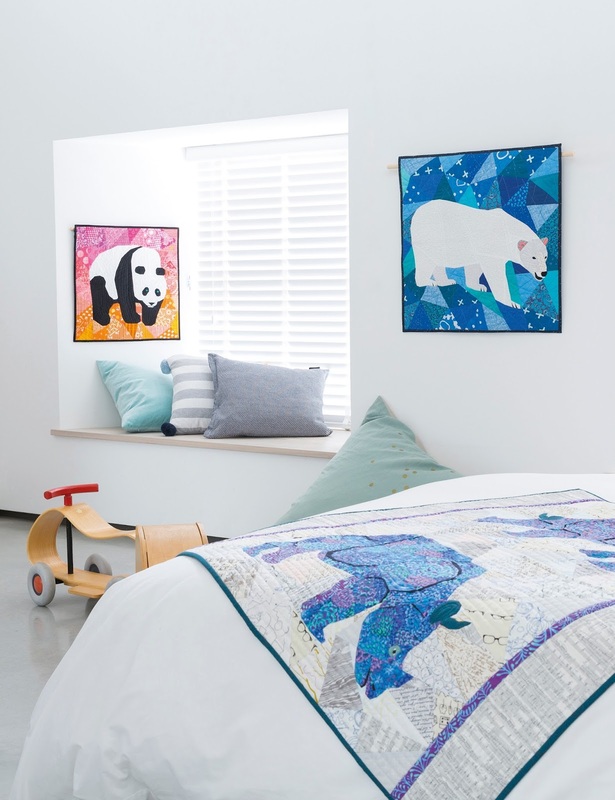 My son would choose to be a night owl if he could, he is 6 and has a strict 8pm bedtime, and I would love to make a quilt for him from your pattern. Really lovely patterns, I can see 4 I would make straight away.